Dennis Eidson, President and Chief Executive Officer of SpartanNash Company (the "Company") (Nasdaq: SPTN), announced today that the Company has promoted two Executive Vice Presidents to key positions within the company. Dave Staples, SpartanNash's current Executive Vice President and Chief Financial Officer, has been appointed Chief Operating Officer (COO), and Derek Jones, Executive Vice President, Food Distribution, has been promoted to President, Wholesale and Distribution Operations. Both appointments are effective March 1, 2015. As Chief Operating Officer, Staples will oversee all three operating segments of the company: retail, wholesale and military distribution. His appointment will enable Eidson to focus more of his time on the Company's long term strategic plans and potential growth opportunities. The Company has initiated recruiting efforts for a Chief Financial Officer; Staples will continue to serve as CFO until his replacement is hired. "This appointment is part of our robust three year integration plan," notes Eidson. "The size and scope of SpartanNash today demands a dedicated Chief Operating Officer. We are pleased to have had such an exceptional internal candidate." As CFO, Staples helped guide the Company from $1.98 billion in 2003 to $7.9 billion in 2014. Eidson notes, "Dave's leadership was critical to our 'game changing' merger of Spartan Stores and The Nash Finch Company in November of 2013. He also has been an instrumental and respected member of our executive team, helping to define our strategic direction, drive our customer centric business model and cultivate strong customer relationships." 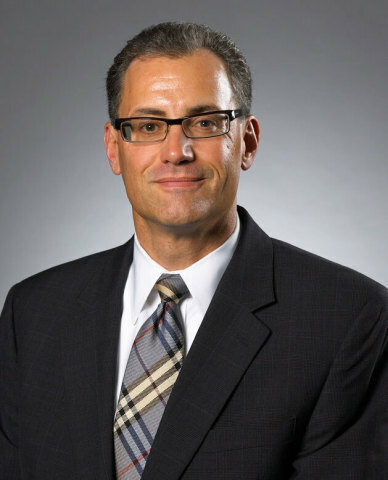 Staples joined SpartanNash in January 2000, serving as the Company's Executive Vice President and Chief Financial Officer since November of 2000. In this capacity, Staples directed finance, real estate, the treasurer's department, internal audit, risk management and information technology. Prior to joining SpartanNash, Staples held positions with Kmart and Arthur Andersen. He is a certified public accountant. Staples currently serves on the Board of Directors of the Michigan Chamber of Commerce and the Grand Rapids Symphony. As part of the Company's strategic development plan, Derek Jones, SpartanNash's Executive Vice President, Food Distribution, has been promoted to President, Wholesale and Distribution Operations. Jones will report to Dave Staples and oversee the entire supply chain, including military supply chain operations. "This streamlined approach," emphasizes Eidson, "is critical to our mission to leverage our expertise in food distribution and retail to develop, activate and provide impactful solutions that exceed expectations for associates, customers and partners. Derek's extensive experience and expertise in food distribution will result in increased efficiencies and a 'one way' operation with his leadership." As Executive Vice President, Food Distribution, Jones has embraced SpartanNash's customer focus core value and cultivated and strengthened relationships with the company's independent customers operating 2100 locations. Jones has also successfully driven growth as a value added distributor while directing the operations of SpartanNash's Wholesale and Supply Chain Operations, including warehousing, transportation, new business development, replenishment, and customer service. In his expanded role, Jones will now oversee the military operations supply chain. Jones joined the Company in 2006 from Unisource Worldwide, Inc., where he served as Vice President of Distribution for the company's eastern region covering 35 states, 48 distributions centers, and $3 billion in annual delivery sales. Jones has also held senior operations management positions with Office Depot, Walgreen's, and Wal-Mart. Jones currently serves on the Board of Directors of National Grocers Association, and he served on the Board of Directors of the Heart of West Michigan United Way from June 2011 to June 2014. SpartanNash (Nasdaq: SPTN) is the largest food distributor serving United States military commissaries and exchanges in the world, in terms of revenue. The Company's core businesses include distributing food to military commissaries and exchanges and independent and corporate-owned retail stores located in 44 states and the District of Columbia, Europe, Cuba, Puerto Rico, the Azores, Bahrain and Egypt. SpartanNash currently operates 162 supermarkets primarily under the banners of Family Fare Supermarkets, No Frills, Bag 'n Save and Econofoods.